If you’re not in it to win it, you’re in it to have fun. Other than the street performers on Pearl Street Mall, the BolderBoulder is the largest showing of crazy costumes, wacky traditions, and most of all, a 50,000-participant party. Run it, walk it, hopscotch it – no one cares, as long as you enjoy every stride of this 10k race. If you don’t want to be part of the herd, be part of the peanut gallery and watch from the sidelines. Onlookers line the streets of Boulder offering marshmallows, crisp bacon, and the occasional keg stand to runners. End with a victory lap in the University of Colorado’s Folsom Stadium before heading to the annual Boulder Creek Fest for live music and a rewarding microbrew. Over nine craft breweries reside in Boulder and who brews the best hops is still up for debate. When in Boulder, do as the Boulderites do and pedal to the taprooms–you have to burn off those calories somehow. Rent a bicycle from Full Cycle and head to the new Upslope taproom in East Boulder. 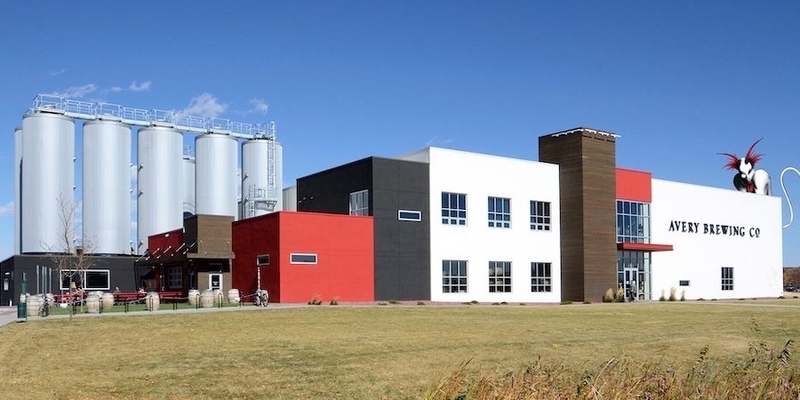 From there, visit Avery Brewing, Boulder Beer, and BRU Brewery. Nothing beats a cold suds followed by a leisurely ride. Photo Courtesy of Avery Brewing Co. 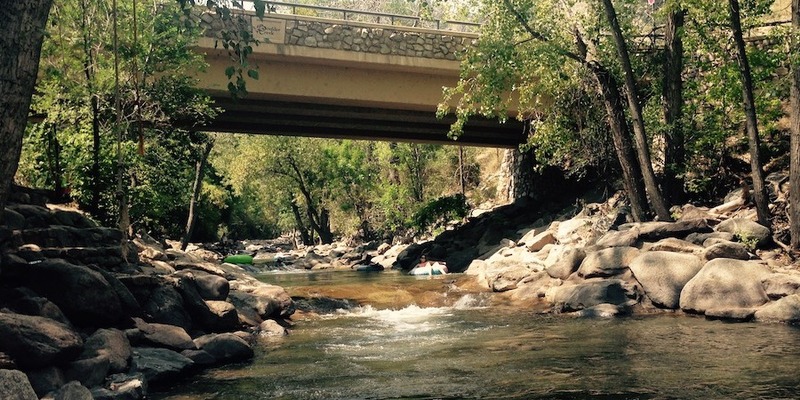 While locals may tell you to get the heck out of town for an intense hike, don’t be fooled. The iconic Flatirons in Chautauqua Park have some of the most scenic and challenging hikes in the area. And, you can walk or bike to the base of these mountains from downtown. If you’re coming from the flatlands, start with something mellow like Bluebell trail or the first flatiron. For a longer, steeper hike, head south along the Flats to the Royal Arch trail where you’ll end atop flatirons with gorgeous views of the Front Range. Valmont Bike Park is like Disneyland for bikers. With numerous dirt jumps, pump tracks, single-track trails, and more there’s no shortage of terrain. From the Tot Track for tricycles and Strider bikes to massive gap jumps on the Slopestyle course, the park has features and trails for every level of rider. Valmont is the perfect place to test your skills on all-dirt tracks or play the role of spectator and watch professional BMX riders throw down. It’s free to the public and the staff at Valmont does an impeccable job of maintaining the park throughout the year. Other than the stunning Flatirons, Pearl Street Mall may hold some of the best sights in Boulder. Local shops, restaurants, and bars attract all tastes for live music, healthy eats, and an all-around good time. Must hit spots are Spruce Confections for espresso and scones, the Med for Happy Hour tapas, Central Park for live music, and the Rio Grande for a roof- top margarita. Located at the base of the Flatirons, this lesser-known music venue boasts concerts like nothing you’ve experienced. About to celebrate it’s 115th birthday, the Chautauqua auditorium has a barn-like setting, perfect acoustics, and holds about 1,300 people. Names like Old Crow Medicine Show, Emmylou Harris, Umphrey’s McGee, and Ryan Bigham are on the docket this summer. Before the show, act all sophisticated and enjoy a picnic and bottle of wine in the park before heading in for unforgettable live music. Just a few miles south of town, Eldorado Canyon is home to some of the state’s best climbing and bouldering. Tucked behind the Flatirons, Eldorado Canyon has over five hundred climbing routes and plenty of bouldering areas to choose from. Many challenging routes on the parks sandstone cliffs attract climbers from all over the lower 48. Rent climbing gear at Neptune Mountaineering, hike to secluded route, and on belay! Image courtesy of Climbing Magazine. Now the City of Boulder and many health-freaks would not recommend this, but I highly suggest you get wet n’ wild tubing the Boulder Creek. Yes, it’s dirty, the rocks can do a number on your knees, and it attracts a very eclectic group of people but what’s the saying, “YOLO”? Hit up any local gas station or McGuckin’s Hardware for some basic inner tubes, or dig through your basement for a blowup mattress and wander to the creek. The best months to tube the creek are June and July when the water is high enough to keep you from scraping limbs on the creek’s surface. Wear water shoes, have a cooler of beer waiting for you at your take-out spot, and hold on for the ride! Go “off the grid” and visit the historic town of Gold Hill about 12 miles west of Boulder in the mountains. Some call it a ghost town but that’s the appeal – the isolation. Bike up Sunshine Canyon or Gold Run Road for an intense cardio sesh before exploring the town on foot. Nearby trails offer some of the best hiking in Boulder County. Don’t leave without stopping at the Gold Hill Inn. Sit down for a six-course meal featuring dishes from nearby farms. Stop by the bar for a drink while singing along to live bluegrass and folk or relax on Sunday nights for Gold Hill Inn’s acoustic sessions. Charge your Prius and drive to Central Park. Watch out for bikers on the way. They’re EVERYWHERE. Enjoy a vegetarian breakfast and imported tea at the tranquil Boulder Dushanbe Tea House. Walk across the path to Central Park and get on your Namaste with an outdoor yoga session. You’ll feel so enlightened. Next to the park, visit the Boulder Farmer’s Market. Skip the Gyros and all-grass-fed burgers and pick up some kale, chia seeds, and kombucha. Walk one block to Pearl Street and count how many times you’re approached by a pan-handler or “starving musician.” Another game to play throughout the day: Count the Subarus. Don’t worry if you lose track – there’s more Subarus in Boulder than there are dogs. Find a spot along Boulder Creek to set up a slackline while some guy attempts to play renditions of Dylan on a beat up guitar. Find a Boulderite with their own garden and invite yourself over for a vegan dinner complete with rice wine and a healthy, soul-searching meditation session.